November 29th was the press day for Marvel's multi-room interactive experience, S.T.A.T.I.O.N, which essentially puts you through Avenger training to see if you can become the next superhero. I don't want to give you too many spoilers on what you can expect but I will give you some highlights to get you excited for your own trip because the best part of S.T.A.T.I.O.N. is not knowing what to expect! 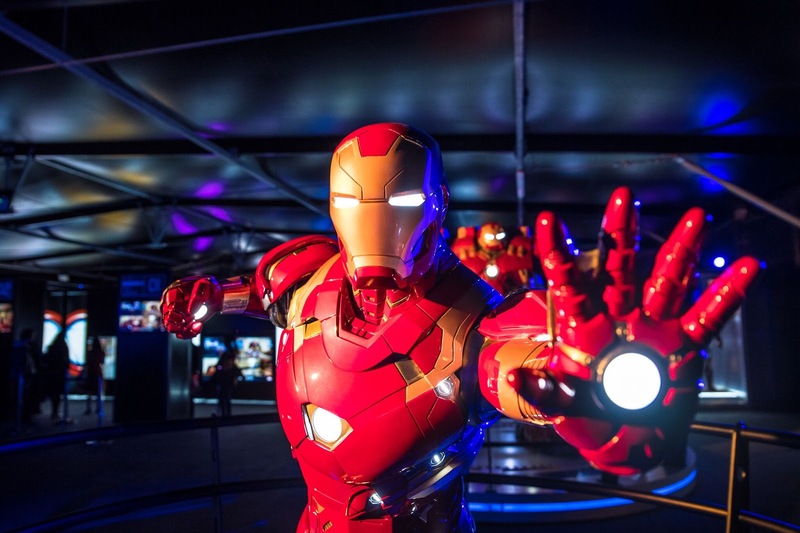 There's an interactive part in each room where you can put yourself in the shoes of your favourite superheroes from becoming a motion capture Iron Man to trying to lift Thor's Hammer. Each room also has boards and screens that you can read to get the inside info on each character and their powers. The staff make the experience as they are dotted around the rooms acting as Tony Stark's insiders. They encourage you to keep training and ask you what you've learned as you go round, it's a great way to make the experience a little more personal and interactive. If interactive activities aren't your thing it's great to just look at the props and costumes from your favourite films. We were told that everything behind glass came straight from the movie sets. I think it's a great way to spend a day in London if you're looking for a unique activity to do during the winter season. The effort gone into this experience is one of a kind and promises to be a fantastic day out for lovers of all things Avengers! Marvel S.T.A.T.I.O.N. is currently booking until the end of March 2019. For more info and to buy tickets you can click here.